Water world? Or is that too recent? With the title’s use of “Furniture”, I thought for sure it was going to be “Deathbed: The Bed that Eats”. Now I’m not so sure. Oh wait. Wicker Basket! Is it “Basket Case” ?! Hmm. Well, there’s 1492: Conquest of Paradise. And… um… that Vikings vs Native Americans movie a couple years ago. Er… Pathfinder. Of course, it’s probably Wicker Man, probably the remake. 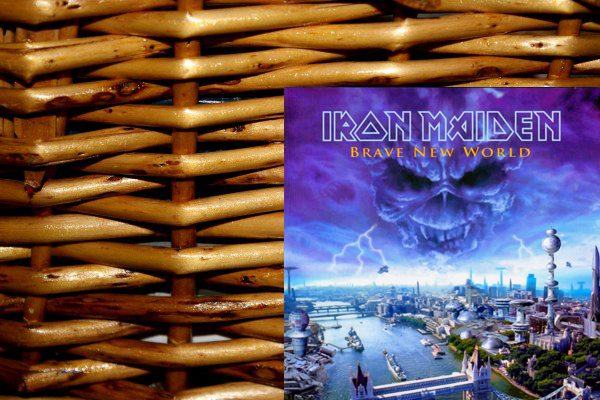 Iron Maiden’s Brave New World had the song Wicker Man on it, after all. And since the original is a cult classic and anything but “bad”, I’m thinking definitely the new one. After all, Cecil loves him some insane Nick Cage. How’d it get burned? HOW’D IT GET BURNED! HOW’D IT GET BURNED, HOW’D IT GET BURNED!! !… I don’t know!